I think you’d be surprised by how much is going on with Danitha Capashen, Paragon. Pearled Unicorn? Creatures have gotten better in the last twenty-five years, it seems.So… a 2/2 creature for three mana? Pearled Unicorn much? Why would we even want to talk about Danitha? Isn’t she just a 2/2 for three mana? While few players are excited by the prospect of a 2/2 creature for three mana, there is some precedent. Mike, for example, really loves a Borderland Ranger! But let’s assume you’re not searching your library for a basic land… Is it possible that you can stick enough additional abilities onto a 2/2 creature for three mana that someone would want to play it? That is the challenge of Danitha Capashen. First Strike is only okay, but first strike and lifelink make Danitha a surprisingly potent combat creature. Vigilence and lifelink together make her defensively solid. How is a 2/2 creature resilient? Is there a hexproof line we somehow missed? Danitha Capashen, Paragon is contextually resilient. We’ve already seen Seal Away, a white enchantment that hits tapped creatures. Well due to vigilance, Danitha doesn’t tap. Cast Down destroys nonlegendary creatures. Basically, we have a situation where two of the most popular point removal cards in Standard will simply not be able to target Danitha Capashen, Paragon. Is she invincible? No. But you don’t pay a single mana for this additional ability of resilience. We have no idea what “Aura and Equipment spells you cast cost 1 less to cast” will actually mean. But we’ve seen the card Goblin Warchief. Cost reduction abilities like this can be format-defining. But the most important is probably the sick new Legacy deck that Patrick brews, live. Will it be the hot new strategy? Sure sounds like a consistent turn-three kill to us. One of the things Patrick and Michael like about Dominaria so far is how it pleasantly references what we love about Magic’s past. Cards like Llanowar Elves and Gaea’s Blessing aside, Dominaria calls up our favorite worlds, from Benalia to Phyrexia, to tell the set’s story. It’s not just reprints. It’s not just references. Dominaria also updates some favorites! There may be no better example than Knight of Grace. 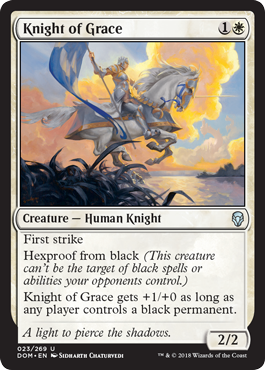 White Knight and Black Knight were two of the most iconic creatures in early Magic. Not only were they each hyper-efficient, they were each “first” … Each Block would add a variation. Order of the Ebon Hand; Order of Leitbur. Order of the White Shield… All the way, eventually, to Knight of Meadowgrain and even more recent updates. The most recent? Knight of Grace and its opposite number, Knight of Malice. What’s going on with Knight of Grace? Hexproof from Black – Was Protection from Black too powerful? The Buff – This ability has some good texture! The buff ability here works a couple of ways. If this were way back in 1996, enough players might have black creatures that the +1/+0 might be meaningful. But you can cheat this ability on yourself, if you’re a little mindful. A B/W creature deck can already enjoy the buff. Orzhov Guildmage – This creature can be cast with only white mana, but counts as a black permanent. Batterskull – The token is black. To find out more, and which, download the podcast! There are more! Tons more! Those are just the first few we thought of. This spell costs 1 less to cast if you control a Wizard. Put another way, Wizard’s Retort is a Cancel… But a Counterspell if you have a wizard on the battlefield. This spell costs 2 less to cast if you control a Wizard. Wizard’s Lightning deals 3 damage to any target. 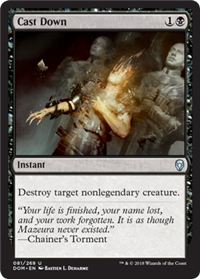 There is already precedent to playing three damage burn spells that sometimes cost one and sometimes cost three in both Modern and Legacy. Rift Bolt much? Being three converted mana cost is actually an advantage sometimes; Chalice of the Void anyone? Grim Lavamancer is already a wizard you might play in either format’s Burn deck! Mike, at the least, would much rather run one or two copies of this card than, say, Shard Volley. Is this card better than the [multiple] Pro Tour-winning Baneslayer Angel? Patrick points out that giving other Angels +1/+1 — and lifelink — is way better, generally speaking, than protection from demons and dragons. Having a Lyra Dawnbringer in play with a Baneslayer Angel is much better than having two Baneslayer Angels, at least. Llanowar Elves – Patrick thinks this will bring Brian Kibler — finally — back onto the Pro Tour. Mike imagines it will be the best card in Standard! … And that’s just the first third of this podcast! Does Manamorphose go in every deck? Apparently it at least goes in Burn now! We’ve kind of nudged and nudged and winked and winked about it. One Hall of Famer plays three Manamorphose in a deck that doesn’t usually play it; another Pro Tour Champion runs a singleton. Together they get it right. Manamorphose has been Staple essentially since its printing. There is almost no better card in Storm combo. Not only does it dig in that deck like a blue card, with Goblin Electromancer on the battlefield, Manamorphose even nets mana! Josh Utter-Leyton brought Manamorphose to Modern Burn for perhaps the first time! To make room for this Innovation, Wrapter went down to one copy of Eidolon of the Great Revel, cut all the Skullcracks, and… Added Bedlam Reveler! The Innovations are not all intuitive (so we’ll rattle through them). First of all, with Manamophose but not fringe garbage like Shard Volley, Josh will just draw his Lightning Bolts and Lightning Helixes more often than other Red Decks. That’s a given. He is also better set up to grind with those Bedlam Revelers (in-part powered by the Manamorphoses). But colors matter more now! While Mike has won with Stomping Ground Red Decks, he’s been on R/W since Inspiring Vantage was printed. While he can “get” someone playing Stomping Ground, playing it for [only] three sideboard Destructive Revelries makes little sense. Here, Wrapter splashes for both Destructive Revelry and Ancient Grudge… And can hit green with no Stomping Ground on the battlefield. Surprise! Kor Firewalker makes great sense in this build. The WW isn’t too hard to hit for Red Decks, but it’s particularly easy when you can turn GG, RR, or GR into WW. The Eidolon of the Great Revel cut might hurt on its face, but Eidolon is kind of bad in a deck chaining multiple spells with Manamorphose. Not intuitive, maybe, but internally consistent. Legacy! 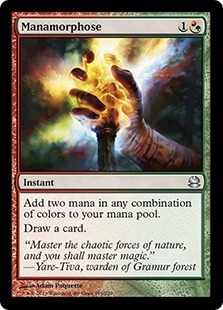 Jim Davis put together a trifecta of Portent, Predict, and Terminus to make up for the lack of Sensei’s Divining Top – Jim’s U/W Miracles deck can set up a Terminus with Portent, or mess up the opponent’s draw (while drawing tons extra). Portent + Predict being an oldie-but-goodie. Legacy! What can you get with one Crop Rotation? If you’re playing one Crop Rotation in Elves, you can grab a singleton Cavern of Souls to crush blue, or increase the redundancy of your Cradles. Is Burn Even Good? Manamorphose or No? Uh, Bogles just won [again]. This time with 4x Leyline of Sanctity MAIN DECK. Merfolk Branchwalker is great on twoThink you know what’s going on in Standard? Mono-Red Beatdown, some vanilla Sultai with The Scarab God, maybe some B/U Control? Merfolk Branchwalker, Ajani Unyeilding, and Carnage Tyrant? PT Champion Ari Lax just missed the Top 8 with his Naya Monsters deck. A surprising take on a relatively intuitive build, Ari opted to play Ajani Unyeilding, Cast Out, and Thopter Arrest as white splashes. 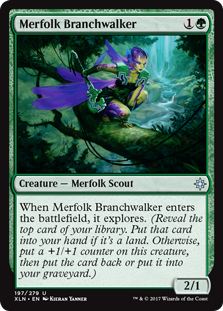 Merfolk Branchwalker teams up with multiple 2/x buddies to build towards ambitious mana. Jadelight Ranger – co-explore creatures as an explore creature to help build towards ambitious mana. Lax’s take played tons of cards that cost four mana or more between deck and sideboard, topping up with some powerful, game-winning, six drops. I mean come on. Carnage Tyrant! Rawr. Tyler Schroeder won Grand Prix Memphis with a brand new take on Gruul creatures. We’ve seen similar shells before. After all Merfolk Branchwalker and Jadelight Ranger make a lot of sense together. Twos and threes, these creatures attack, block, fix the top of your library, and generate card advantage. By the same token, Rekindling Phoenix and Glorybringer represent a similar thematic duo. Great red flyers with built-in card advantage capabilities, these 4/x creatures represent the kind of high end payoff that you really want to get to with your green explorers. So where is the innovation? Adding Earthshaker Khenra and Resilient Khenra as a third pair creates a whole new dimension to the deck. Because “explore” creatures like Jadelight Ranger and Merfolk Branchwalker can put cards into the graveyard, they can imply future card advantage because you can play the respective Khenra cards out of the graveyard. Often when Merfolk Branchwalker flips a land, we call that card advantage; now if it flips a Khenra — and puts it into the graveyard — it is stockpiling future card advantage! Will this become an industry standard way to play Standard? Masters 25 Previews: Courser of Kruphix and Coalition Relic! Courser of Kruphix. 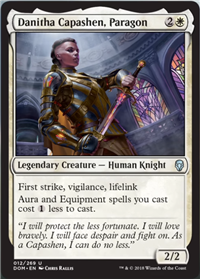 Swoon.Courser of Kruphix was a centerpiece of Patrick’s Pro Tour Journey Into Nyx-winning Abzan* deck. This three drop is already a fringe player in Modern. Our prediction is that it becomes even more popular. 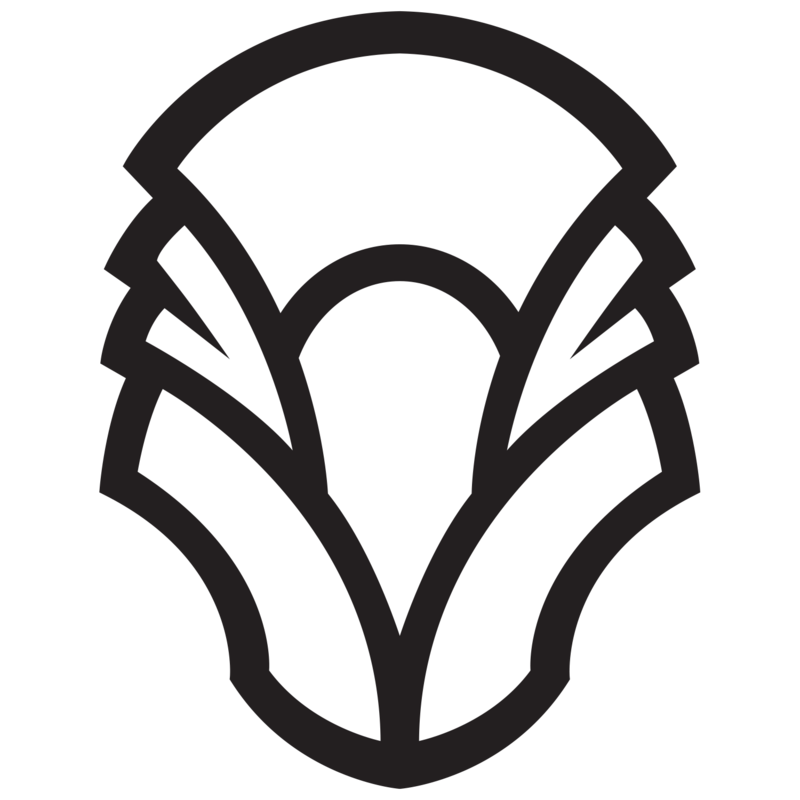 Courser of Kruphix is of efficient size for its casting cost. First of all, Courser of Kruphix is the exact right casting cost to max out Bloodbraid Elf’s Cascade ability. When you flip a Noble Hierarch, you get two cards — essentially a Lotus Petal plus the Hierarch itself — but when you flip a Courser of Kruphix, that Lotus Petal is upgraded to a Black Lotus. So great! 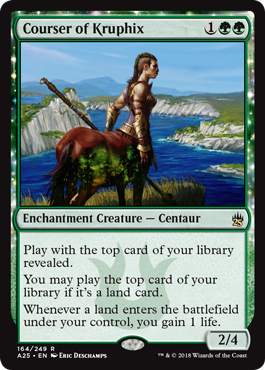 But that’s not all… Courser of Krupix is good before Bloodbraid Elf, not just being flipped by Bloodbraid Elf. The ability to see the top card of your library can be useful when you play interactive cards. For example, Bloodbraid Elf decks often play cards like Path to Exile or Terminate. If the opponent doesn’t have a creature on the battlefield, flipping one of those with cascade will result in a wasted trigger. Courser of Kruphix can help you aim your cascades a little bit better. As a three drop with solid toughness, Courser of Kruphix is an efficient pre-Jace, the Mind Sculptor play. It can defend Jace well on the turn you tap out for it. But that’s not all! Courser of Kruphix’s ability to see the top card of your library (and play lands from it) is delicious when combined with Jace’s Fateseal and Brainstorm abilities. You can fix your hand by putting a land on top with Jace, and then play it with Courser. Or you can dig deeper (with either) to get a fresh look (for either). 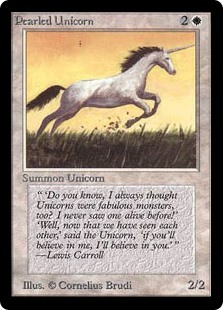 This card from Masters 25 will surely go up in popularity. 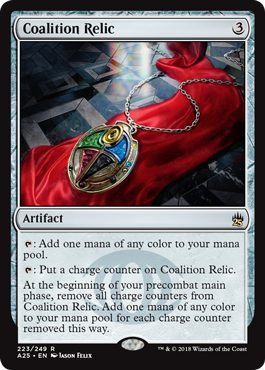 Also Revealed: Coalition RelicWith the ability to tap for any color of mana, Coalition Relic once held a special place as a five-color control enabler. It was also a solid accelerator, taking you from three to six in a single turn! Patrick and Michael are cooler on this preview than Courser of Kruphix, though. There are just too many cards people play in Modern that beat up on Coalition Relic (often with value): Kolaghan’s Command, Abrupt Decay, and certainly Ancient Grudge! The Lantern deck’s performance in Modern recently has jut put too much of a target on artifacts, at least artifacts of this casting cost. Still, was sweet in its time, and may yet be sweet again if and when the format shifts. * Abzan before it was “Abzan” if you grok.